Never stayed in the kitchen for a day. 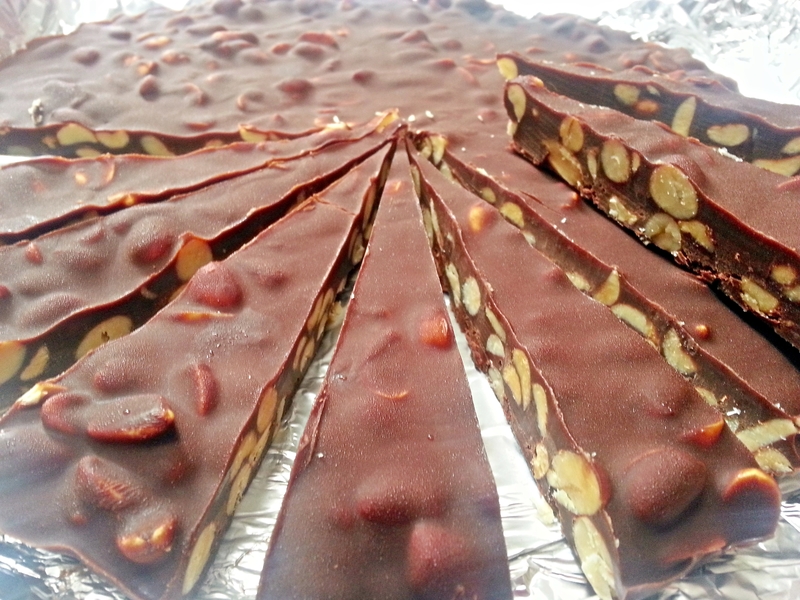 These bars finish as quickly as they are served, they are hard to resist and very tempting. You can’t just have a little. I hosted a party a while back, and these were the dessert. I don’t remember anyone who didn’t have more than two, and I can’t remember how many took few home. They were a hit. Always are. 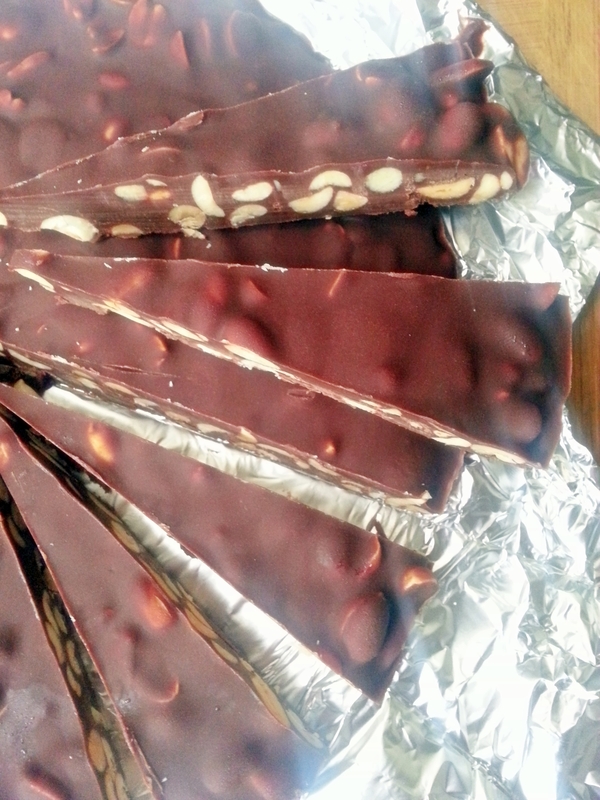 I made them today because I just had to have these sweet salty crunchy and umm… nutty bars. They’re irresistible flavour owes credit to the balance between the sweet and salty: in fact if there is anything perfect out there its – These. This is your one bite trip to heaven. 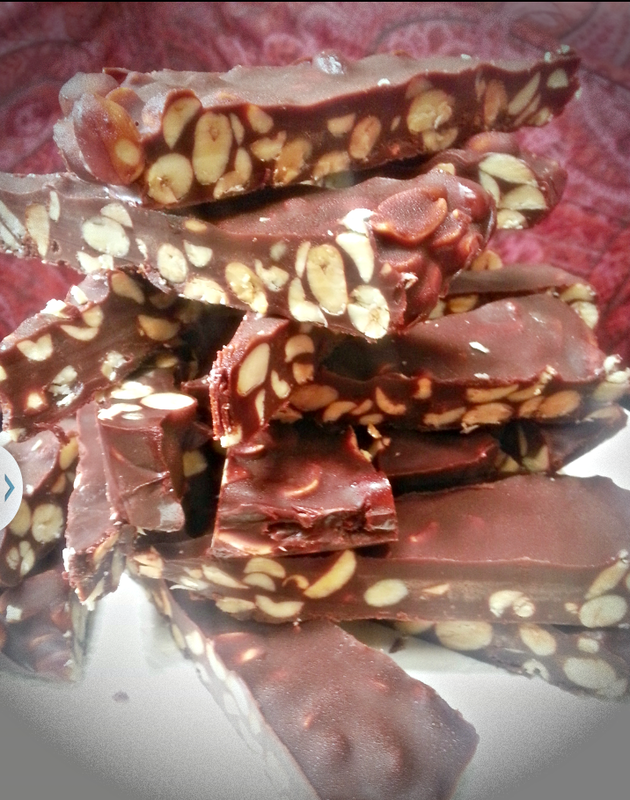 Break up or chop the chocolate into pieces, and drop into heavy based saucepan. Add the unsalted butter and the golden syrup, put on a low heat and melt gently together. Put the peanuts in a bowl, and crush the Crunchie bars with your hands, letting the golden-glinting rubble fall into the nuts.